We are very excited to be returning to Sacramento for the next show. We have had a lot of great response already. Who will be at the show with us this next year? Well, glad you asked. Here is a list of who you will see at the show in March. Check back often as we are adding exhibitors almost daily. Precision is our religion, we manufactured professional quality tools in Bend Oregon. For the way you ride! Alliance Bicycles are built by Erik Rolf in Hailey, ID. Celebrating 10 years of handcrafted frames in steel and titanium. Our mission is to build the finest bicycles on earth that represent the best the United States has to offer — and to build them here, from the ground up, from design, to engineering, to manufacturing. 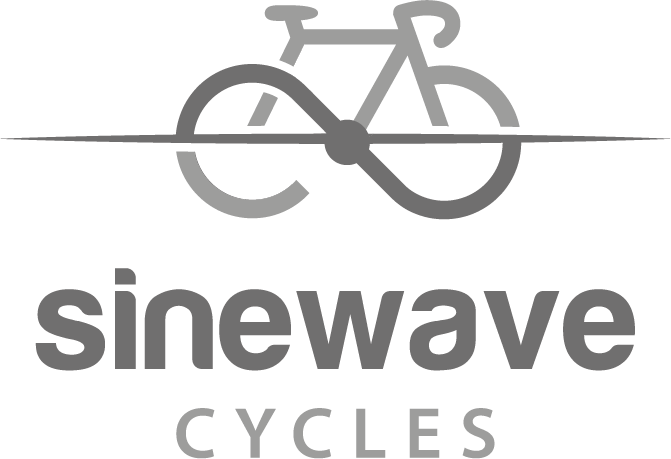 We're a premier bicycle wheel manufacturer creating a new standard of engineering and innovation. Alto was born out of a desire to solve the problems that plagued bike racers and triathletes for years, and to do so by manufacturing right here in the USA. Custom steel bicycle frames and individualized frame building classes in Sacramento CA. We are very excited to be bringing the Argonaut Test Flight program to the 2019 North American Handmade Bicycle Show in Sacramento, CA. Follow the link below to sign up for a test ride on an Argonaut road bike. We’ve created a route taking you just outside Sacramento to experience the truly remarkable ride quality of an Argonaut custom carbon road bike. We will not have a traditional booth this year, but rather have our Test Flight van setup just outside the convention center. Whether you sign up for a test flight, or just want to come by and check out the bikes, we’d love to see you in Sacramento. Bambu Technologies is a small outfit producing performance quality bamboo bike frames. We offer Build-Your-Own workshops at the Bambu Hub, our main studio Los Angeles. We collaborate with like-minded individuals and organizations on projects and applications involving bamboo and other renewable materials. As advocates for a more sustainable earth, Bambu Technologies partners with socially responsible suppliers to promote enlightened lifestyle choices. Biciclista is bright! We’re for diversity, inclusion and for sociality. Biciclista.us is for everyone, join us, be biciclista.us! BikeFlights.com is the leading bicycle shipping service for cyclists. 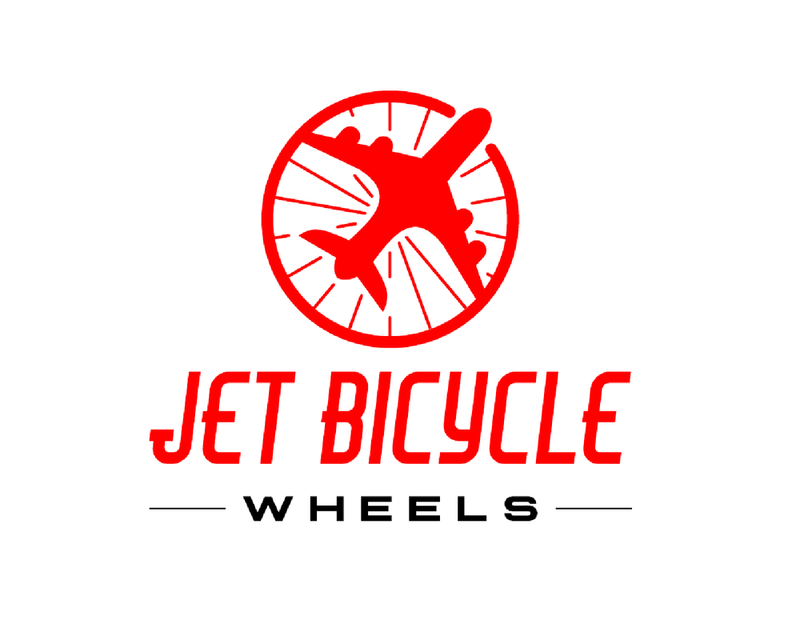 We make it convenient, reliable and affordable for you to get your bike to wherever you want it to go, whether it’s for your next event, vacation or work trip, or it’s headed to its new owner. With our Best Way Guarantee, you get the best service, delivery and price guaranteed with each shipment. We are cyclists serving cyclists. Artistry in steel and titanium framebuilding for 35 years. Bilenky Cycle Works builds fun, light, practical, beautiful self-propelled machines. Combining experienced framebuilders with a personalized ordering process, we produce unique hand-crafted framesets and complete bicycles to meet your needs. Black Magic Paint is the premiere custom bicycle painter in the United States, located in Portland, OR. We specialized in custom paint for both custom builders and individual clients looking for a one of a kind custom bike, both new and old. Serving the local Pacific Northwest market as well as customers worldwide. Now offering Titanium anodizing and ceramic finishes. Call or email us today to talk about your project. Custom built bikes since 1999 with craftsmanship that stands out in any crowd. Fine bicycles built for you ride! Stoke the fire ride a Blaze. The Best for Riding Since 1866. Bryton Inc was founded by elite consumer electronics product development and marketing professionals. Combining strong R&D and innovative product management teams, reinforced by a team of sales/marketing specialists with branding experiences across 5 continents, Bryton solidifies its capability in the consumer market and builds a foundation for success. Celilo Cycles wooden bikes are born from the spirit of the Northwest. We start with locally harvested wood such as Oregon Oak or Port Orford Cedar, create a hollow frame that’s reinforced to withstand rigorous terrain, and build it out with top notch components by the best mechanics in Corvallis. Building investment grade bike components with our legendary bearings since 1976. Made in USA. We at Cinq are engineers, designers and cyclists, dedicated to building innovative components, power supplies and accessories that help cyclists ride further. CIVILIAN Bicycle Company builds made-to-order, dirt-first bikes in Portland, Oregon. This approach delivers a tailored feel that strikes a perfect balance between craftsmanship and performance and means each frame is not only purpose-built and customized to you, but also built to last and ready to rip. BEAUTIFUL, CLASSIC, TRUE TO THE PROCESS. In a sometimes pre-fab, one-size-fits-all, disposable culture, what I find myself most interested in building are quality frames that will last your lifetime, using the same techniques that master builders of high end bicycles have used for ages. Because I build each frame, one at a time in my own shop, I am able to take my time with each step of the process, and put true skill and craftsmanship into every hand-built silver-brazed frame. The aim of Cobra Framebuilding Tooling is to produce tooling for small-scale bicycle frame builders that centers the most salient needs faced when building frames. Since 1988, Co-Motion Cycles has taken a practical approach to executing designs that focus on every bicycle’s ultimate purpose. Discarding artifice and ornamentation, we strive to reveal the beauty at the core of cycling: The perfect union of the cyclist and cycle. American made, Oregon Made, Handmade. Co-Motion Cycles. Every day, every adventure, every body. Beautiful sounding bells for your bicycle. Made in Japan. The original 6 time NAHBS award winning custom carbon fiber bicycle frame, designed, handcrafted and finished entirely by Nick Crumpton in Austin, Texas. Inspiring many, rivaled by none. Cycles 4 Hope is a 501 (c) (3) non-profit organization focused on providing Hope, Joy, Independence & Opportunity to people-in-need through the donation of recycled bicycles. Cycles 4 Hope is based in Northern California and currently serves the greater Sacramento region, Northern Mexico and regions of Africa. As our head badge states "An American Icon Since 1895" The Walthour Family has been in the professional bicycle racing game and bicycle industry since the late 1800's. At Dixie Flyer Bicycles, it is not only our primary responsibility to promote cycling, it is our passion to make top quality bicycle products to inspire everyone to get on a bike. Founded in 2009, ECHOS Communications is a leader in authentic public relations for cycling, outdoor, and consumer technology brands. ECHOS continues to build the audience for the handmade bicycle world through our work with the media at NAHBS and throughout the year. Efficient Velo Tools (EVT), makers of the worlds finest bicycle repair tools and the best in class Safe Zone Helmet Mirror. Event Gear is new brand, but has decades of experience backing it up. Their new MAX rack combines portability with great ease of use with almost all bikes and e-bikes, and also can become a pro grade work stand. Event Gear's motto is "Equipment for Winning "and they take it to heart ! EXEPT is making full custom frames in a true monocoque construction technique. The geometry is tailored on the rider's physiology in either a Race or Endurance riding style, based on bike fitting data. Monocoque construction allows for superior bike performance, till now unseen for custom bikes. Based in California, we are a bicycle tubing and fittings supplier for in-house companies and framebuilders worldwide. We specialize in (custom) alloy tube forming and butting services. Our specialty materials are 7005 aluminum, 3/2.5 butted titanium, and Velospec™ ultra steels. Elevating the cyclist’s riding experience through bike sizing and fitting. Fit Kit Systems provides tools and education for measuring bodies and bikes, and improving the connection between the two. fi'zi:k is a performance brand. It represents beauty, speed, passion; freedom for those who race against each other, race against the clock and for enthusiast cyclists around the world. At Full Speed Ahead (FSA) and Vision, we don't simply sponsor elite teams and athletes, but also work extremely close with them and utilize their expertise and feedback to help us develop the next range of products. This combined with our passionate commitment for new innovate design, research and development, material improvements and manufacturing processes, all ensures we deliver technically superior components which provides the ultimate performance that riders demand. The clean, quiet, light and strong belt system for bicycles. Hartley Cycles is the culmination of over 10 years of fine metalwork and a love affair with cycling. From a workshop in South London, award-winning frame builder Caren Hartley creates beautiful bespoke steel and stainless steel bicycles uniquely tailored to each client. Made by hands in Minnesota since 1984. We invented the aero wheel. Making “get off the road” a good thing. At Hope we’re proud to manufacture all our components in the UK and celebrate our 30th anniversary in 2019. With our move to bike manufacture we continue with this ethos, expanding our knowledge in carbon fibre production, keeping all aspects of production in house. Since 1985, the Horton Collection has grown to be one of the world’s preeminent collections of road and track racing memorabilia. Based in San Francisco, with items sourced from around the globe, the Horton Collection delivers unique and exclusive items and gift ideas to customers world-wide. Founded in 1926 in Japan, IRC Tire has more than 90 years of experience developing and manufacturing tires for all types of cycling including BMX, road, gravel and mountain biking. IRC owns seven manufacturing plants worldwide. For information visit www.ircbike.com. We build innovative, world class bicycles in our London workshop. Every stage of your new bicycle, from design, to manufacture, to assembly, takes place right here. Marin Museum of Bicycling in Fairfax, California, illuminates and celebrates cycling’s past, present and future. A collection spanning 150 years includes cycling’s extraordinary 19th Century evolution, fine road and track bikes, and the history-making bikes of the Mountain Bike Hall of Fame, many with technical and racing provenance. Based in the French Alps, Mavic has been on the forefront of innovation for 130 years. Offering wheels, tires, footwear, helmets and apparel that perfectly balance performance and reliability, we are your trusted partner no matter where, or what, you ride. I'm Hernan Montenegro, owner of MMFG, a composites fabrication studio based in Los Angeles, California. My main goal is to make the best carbon fiber bicycles using new methods, technologies and outside the box thinking. I believe that more of the same is not going to make a better product. MMFG frames will exceed what you'd expect from a high end carbon bicycle. Bespoke Bicycles, Mosaic Cycles is a family operated small batch builder of handmade bicycles. Precision fabrication and an efficient business practice balance Mosaic as an industry leader, creating meaningful cycling moments and enduring products. Mosaic partners globally with select bicycle shops, bringing a tailored experience to each rider. Myth Cycles builds custom and semi-custom steel bike frames in Durango, Colorado. Our frames are designed to explore the country we know best, from the mountains to the desert, grinding up passes and flying down singletrack. We design and handbuild every bike right here in the USA. Newbaum's made in the USA cotton handlebar tape. Fast, smooth and connected. Normal Bicycles hardwood frames are unique, strong, and lightweight to deliver the ultimate ride experience. Waterproof packs and panniers. Handmade in Portland, OR since 2009. Nova Cycles has been serving framebuilders since 1981, making us the oldest distributor of cycle tubes in North America with the largest inventory of parts. We have a broad range of materials in steel, aluminum and Ti to meet your needs. We are a group of machinists dedicated to make precision parts who are passionate about riding and building bikes. World’s premiere manufacturer of Silent, Low Drag, Instant Engagement hubs. Made in the USA. Paragon Machine Works manufactures and stocks a wide variety of bicycle frame building components in titanium, steel, stainless steel, and aluminum. We are a leader in bicycle frame building technology, constantly innovating and providing new products to meet the demands of the industry and the needs of the frame builders. Since 1963 Park Tool has been designing and manufacturing bicycle repair product that help professional and amateur mechanics to properly clean, maintain and repair bicycles. Today Park Tool products can be found in most bike shops and professional bicycle mechanics tool boxes throughout the world. Pass and Stow Racks provide a lightweight yet stable solution to everyday carrying needs. Years of refinement have produced an elegant addition to a bike in any category; a rack that’s at home on or off road and as dependable on a weekly grocery run as on an epic backroad tour. We make bike parts the hard way in sunny Chico, California. We buy the highest quality American alloys and machine them to the tightest tolerances in the industry. We are bike nerds, to the bone! pratt frameworks is a Rhode Island based bicycle company created by designer / maker Max Pratt. We specialize in high performance steel bicycles for fixed-crit / velodrome racing, as well as cyclocross and road racing. Max Pratt is a framebuilder, metal fabricator, and furniture designer who studied at the Rhode Island School of Design. He designs furniture and bicycles with the same values in mind; simplicity, function, and elegance are at the heart of every pratt frame. Praxis’ sole purpose is to provide customers of all types with exceptionally designed drivetrain components that offer great performance and value. A cycling industry advocacy group who’s missions is to promote, develop and advocate on behalf of the professional bicycle mechanic. A limited-edition carbon fiber road bike designed, engineered and manufactured to uncompromising standards in Bozeman, Montana. shell to your unique shape, creating the best fit. When I was a child my passion for creating things with my hands was nurtured by having a family of artist around me. It was a struggle to fit into the different categories that seemed to be filled, the painter, the sculpture, industrial design, all I want to do was draw bicycles. My private art teachers through the years tried to beat it out of me. Once finishing high school I searched for an art school that could help me fulfill my yearning for bicycle design but there were none. In a stroke of pure genius I joined the Air-force and learned the craft of welding. I knew this would be a great essential to the burning desire to some day be able to craft bikes by hand. Once serving my country with distinction I went back to searching for an art college that could help but still nothing available. In the mean time I had bought every book on frame building and I could tell that I would need more skills that being able to free hand beautiful bikes. I stared and completed a 2 year drafting degree and was introduced to my first taste of bike design done right. I met Bob Seals of Retrotec in 1992 and it was like my entire life had finally come into focus. Within a year I was working as the head fabricator at Retrotec under Bobs tutelage I blossomed into the powerhouse cruiser designer, builder craftsman that I am today. Always steel, mostly lugged bicycles with subtly futuristic designs, never trendy or market-driven or copycats. Bikes and gear for everyday riders and UNracers. Since 1994. Modernizing the traditional leather saddle. Go your Distance. The Robert Axle Project is the thru axle authority, providing 12mm and 15mm thru axles for a variety of applications, from lightweight bolt-on axles to axles for trailers and trainers. Designed, machined and tested in Bend, Oregon and sold in over 40 countries around the world. Rock Lobster cycles was established as a full time business in 1988, a result of a frame building hobby that started in 1978. Annual production of full custom frames is around 100 . Frames are mostly but not limited to CX, road and MTB and are made from either steel or aluminum alloys. Handmade tailored with a mix of technologies, attention to detail and craftmanship. Exclusive bikes built for you in our factory. Discover the SARTO EXPERIENCE and explore our website. Seven Cycles has spent more than two decades in the vanguard of American, custom bike-building. We work in titanium, Ti/carbon mix, and the finest steel. “Your Producer for Your Brand” We are a global sportswear manufacturing company specialized in the production of cycling ,running, triathlon and winter sports apparel as well as custom team sports wear. At Thomson Bike Products, we love the ride as much as you do, which is why we are passionate about creating the best riding experience possible, starting with your equipment. Titanium and steel frames, forks, racks and components since 1990. Bespoke and production. Anything is possible. #BuiltInTheWoods. The foundation of the U.S. Bicycling Hall of Fame is built upon the recognition of the competitors and contributors to the sport of cycling. Since 1987, there has been an annual induction of Americans who have achieved tremendous success in racing or who have enhanced the sport of cycling through their lifelong efforts. We make the first Split Belt Drivetrain. Our split belt is spliced to fit around your frame with no frame split necessary. Ride farther, worry less. Whisky strives to provide a wide range of unique products across all cycling categories to improve and define our customer’s experience. The Wright Brothers Cycle Company has brought Wilbur and Orville's classic creations back into production, now using the most advanced bicycle technologies available. A portion of all royalties goes to The Wright Brothers Family Foundation to support their mission of preserving the Wright brothers’ legacy. Custom made Racing Steel Bikes designed, welded and painted by Tiziano Zullo in Castelnuovo del Garda Italy.